It seems to me that the economic and politic factors are key for so many problems that we either suffer or watch on the news currently. The conflict of Russian versus European Union and its allies openly started from Crimea events. It has been 2 years and there are still debates going on to argue which side is right. The tension in the East Sea between China and other Asian countries regarding the sovereignty of islands is escalating days after days. Countries are using historical evidences (or making up ones) to justify their actions or to call for support from the rest of the world. You hear the desire to get back what their ancestors had created. They want to bring back the olive tree home. The hidden agenda for aggressive moves of big countries, as everybody knows, is all about the economic or their political and bargaining power in the global discussion table. The sympathy goes to the residents living in the conflict area. They are at home, but home is not safe. They are at their olive tree, but they cannot take off their shoes to relax. Instead they need to put on their armors, hold their weapons, pick a side and fight for it. Their sense of home is lost while the olive tree is fought for. Sanction is imposed on countries. It is used as a threat, also a revenge, hoping to make the victims weaker and wave the white flag. In this world of globalization, the strength of country is heavily rely on international trading. Banking system must be connected. Oil and gas must be transported around the world to keep the heat on. Even the demand and supply of daily community rely on other countries. 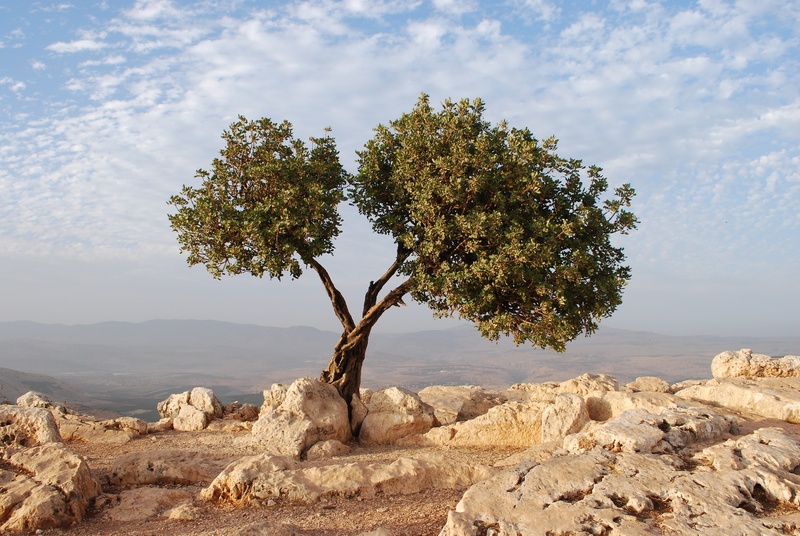 The power of economics is used to get back the olive tree. Military and political means are also used. China is an example. As a biggest country in the region, they just move on to build the military base in the middle of East Sea regardless of all the diplomatic methods of the world. The International Court wants to get involved, but China persistently keeps implementing its plan, ignoring the international calls for respecting other countries’ territories. A small and poor country does not have that option to choose. Last but not least is the armed fights. The conflict between Israel and Palestine with high dead toll, endless and effortless meetings about the peace process is no new for you. It has been on and off for almost 100 years. Just recently, ISIS, which badly wants to confirm its power and territory, has carried on many attacks to people around the world to confirm its message. Modern world with highly developed technologies and better human right, besides improving our life, does complicate the situation. Internet makes ISIS recruit members easier and faster. Governments, parents and peers have no clues if their citizens, children or friends are the targets. Weapon production know-how can easily be found from the Internet. With some investments, people can secretly produce explosion products at home. Cyber attacks targeting database of big countries, big banks and big companies happen regularly. Classified information leaks out to the world. Internet is both helpful and dangerous. Open immigration policy diversifies the population, thus, makes it difficult to distinguish who is on which side. Increased human right on developed countries makes it more difficult to catch and accuse the suspects. The burden of proof is so high that it might be too late when they find enough evidence. In this globalization era, human’s egos get bigger and more serious, especially regarding the sense of home. New technologies and openness of the society become dangerous weapons. That said, good weapon in bad hands or for bad purposes will cause a disaster.